Colorado has more than its fair share of first-rate golf courses and communities, thanks in part to its beautiful natural scenery and more than 300 sunny days each year. 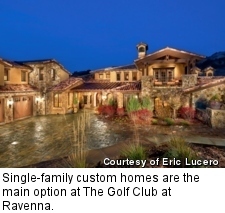 Taking advantage of both, The Golf Club at Ravenna is a gated private community located in scenic Waterton Canyon, just a 30- to 45-minute drive southwest of Denver. Yet it's a world apart, offering second-home buyers easy access to one of the nation's most vibrant urban centers and all the outdoor features that have made Colorado the healthiest state in the U.S. It's entirely possible to fly fish after dawn, get in 18 holes of golf, and enjoy a gourmet dinner downtown and a Colorado Rockies game at Coors Field in one long but pleasant day. Paying respect to the stunning setting, nearly half of Ravenna's 648 acres are preserved as open space. The entire rolling property, which is bordered by stunning red-rock formations as well as Pike National Forest, is full of jagged ravines, covered in native grasses, and teeming with wildlife. It says something about the nature of the place that Ravenna has a "pursuits concierge" to help members choose from all of the nearby activities, and one important benefit of ownership is that residents have private fly-fishing access on the Platte River. But Ravenna is first and foremost a golf club, with a challenging course designed by Jay Morrish. The routing rolls across this dramatic landscape, incorporating forced carries over existing deep ravines, while many of its lush green fairways are flanked by red-rock outcroppings. Several spots on the course offer views of the Denver skyline. 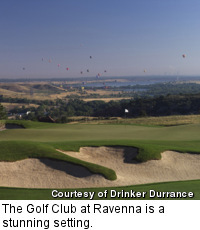 Golf Digest ranked The Golf Club at Ravenna course one of the 10 best U.S. courses when it opened in 2008, while Golfweek added it to its list of the top 100 modern courses ever built. This course, however, is for players -- and not for the weak of heart. 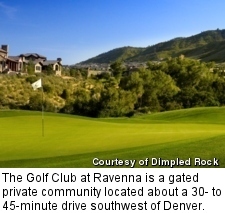 Ravenna, a par 71, boasts the highest slope in Colorado (149) and a course rating of 75 from the 7,263-yard tips. Fortunately there are five well separated sets of tees, including some kinder, gentler options. To help prepare to tame this beast, Ravenna has an elaborate practice area, including range, bentgrass putting green and dedicated short-game area. As its name suggests, Ravenna features an Italianate Mediterranean theme, reflected in the residential architecture, which features clay-tile roofs, natural stone, stucco and wrought iron. Single-family custom homes are the main option, though there are some pre-planned designs to choose from. Of the 243 lots in the community, 79 have been sold to date. The remaining 164 lots and five finished custom homes are currently on the market. Lot prices start in the mid-$200,000 (ranging from .3 to one acre), and the homes start at $1.2 million for three bedrooms. Offerings for existing homes go as large as five bedrooms, six baths and 6,500 square feet. The homes now for sale feature elements such as large stone fireplaces with timber mantles, exposed hardwood beams, coffered ceilings, copper accents, hand-laid mosaics, custom cabinetry, wine rooms and spacious outdoor stone patios. 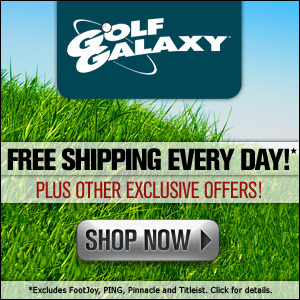 The developer is also planning to erect smaller, turnkey "golf villas" in the future. Club members are currently utilizing a temporary clubhouse containing the pro shop and a restaurant with indoor and outdoor dining, with groundbreaking on a lavish new 40,000-square-foot Mediterranean-style clubhouse planned for May 2014. The facility will include tennis courts, an outdoor pool and event space, while future plans call for an on-site gourmet and wine store. Ravenna is courting oenophiles and plans an elaborate cellaring program, a sommelier on staff and a busy social calendar that will feature regular wine tastings and wine dinners. Life is good.